Sometimes it’s as helpful when planning to know what’s not readily available in an area as it is to know what’s there and there are a few things you’re not likely to find in Corcovado national park or anywhere on the Osa peninsula for that matter. Not that there aren’t some very nice lodges on the Osa, but there’s nothing that would qualify as a resort in the normal sense of the term. There are no golf courses and nowhere that heels or rolling luggage are the best choice. 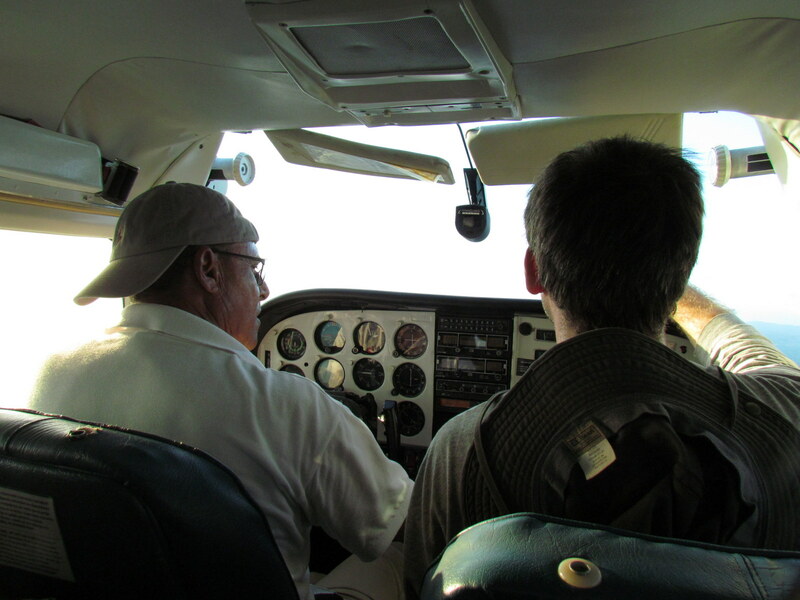 One of the best ways to access the trackless wilderness is in a charter plane. There may not be roads but there are landing strips. Of course there are roads onto the peninsula but none of them make it to Corcovado – the park, like many of the lodges is only accessible by foot, air or boat. The Osa is typically only included on longer Costa Rica itineraries because it’s quite far (8-12 hours by SUV or bus + boat depending on where you’re headed) from the international airport in San José. One note on charter planes like the one in the image above – it’s not a bad idea to bring someone who knows how to fly since co-pilots are optional and our friend Ryan (in the co-pilot’s seat) doesn’t know a control yoke from an egg yolk). Unless you’re thinking of betting on when the next kepple apple is going to drop from the canopy and startle you awake in your tent or hunting for snakes in the wetlands along the Río Corcovado with a headlamp you’re not going to find much nightlife on the Osa. No casinos or clubs and depending on where you are not even a restaurant or bar. Of course September and October exist in the Osa, but it’s so wet there that the area can be impossible to visit. Roads may be impassable for weeks at a time, flights are frequently cancelled due to weather and even boat access becomes impossible when storms in the Pacific build the swell and make the passage into the Ocean through Boca Sierpe too dangerous. Some lodges simply shut down and you’ll find that the months of September and October are actually missing from their booking calendars.